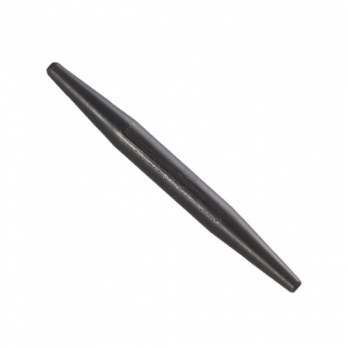 BROAD HEAD & STANDARD HEAD BULL PINS: Made of drop-forged alloy steel. Broad Head has a larger striking surface to provide increasing striking efficiency.Design of head also reduces chance of pin slipping from hand when aligning holes. Standard Bull Pin offers greater initial economy. Broad Head comes in sizes : 1-1/16" & 1-1/4" Standard Bull Pin available : 1-1/4"
CONNECTING BARS: We stock a complete line of connecting bars. Available in both alloy & carbon steel. These heavy duty bars are made to resist bending. Available in sizes (stock): 3/4", 7/8", 1" . Available in lengths" 18", 24", 30", 36". BACK-OUT PUNCHES WITH HANDLES: Dropped-forged alloy steel head with continuous taper and 18" hickey handles. We stock Back-Out punches in these sizes: 5/8", 3/4", 7/8" 1"
SLEDGE HAMMERS: Double faced hammers with high quality forged, heat treated steel heads. Striking faces are polished and beveled, Select, flame-treated, wedged hickory handles. We stock 4lb., 8lb., 10lb., 12lb., 16lb. We also have a complete line of drilling, ball pen, and engineer's hammers. 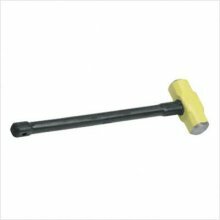 Replacement handles for any hammer or sledge are always available. AJUSTABLE WRENCHES: Drop-forged alloy steel for maximum strength and light weight. Available in both chrome plated black. RATCHETS: We stock a complete line drop-forged alloy steel ratchets. Available in the sizes : 3/8",1/2",3/4",1" . We can also supply the needed renewal kits for the On-the-spot-repairs. These units are available in chrome or black. TORQUE WRENCHES & MULTIPLIERS: Automatically limit desired torque. Pull and click its torque to micrometer accuracy. Ratchet head allows speedy torquing and operation in confined areas. We stock : 3/4" drive 0-600 ft lbs. &1' dr. to 2000 ft. lbs. We also can supply Torque Multipliers which can multiply a torque by 4 times its range. DECKCRIMPERS (BUTTON PUNCHES) & BOLT CLUTTERS: Deck Crimpers automatically fastens metal decking; which all but eliminates the need for spot welding. 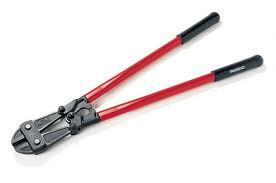 We also carry a complete line of bolt cutters. available in these sizes : 18",24",30",36",42"
WORK GLOVES: We stock all type of gloves. Heavy side split leather.medium & long cuff are both in stock. We also can supply sueded deerskin, as well as leather welding gloves. BAZOOKA LEVELS, WOODEN & ALUMINUM LEVELS: Bazooka levels can be attached to a steel structure for accurate readings. We Also Have A Complete Repair Center If Needed. We stock a full line of wooden & aluminum levels in 18",24", & 36". as well as torpedo, squares, rafters, and line levels. We Also stock complete line of Master Locks. ADJUSTABLE SPUD WRENCH: Versatile wrench that fits all nuts and bolts to 1-1/2". 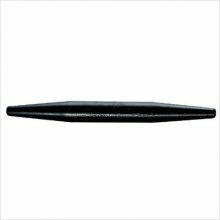 Drop-forged with continuous taper of handle allows the lining-up of holes easier. 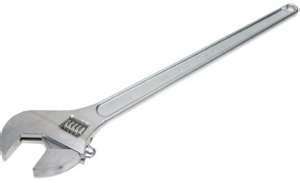 1/2: Drive Spud Ratchet Wrench: Accepts 1/2" square drive hex sockets. Reversible ratchet. Eliminates the need for carrying several fixed sized wrenches. 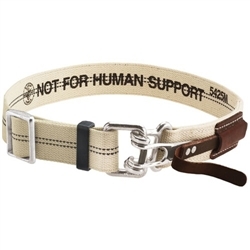 SAFETY & LEATHER BELTS: We stock a complete line of Iron Workers Safety & Work belts. Belts can be equipped with lanyard, snap hooks, "D" rings, etc. 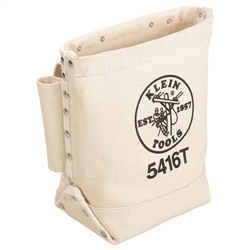 BOLT BAGS: Bolt bags have bull pin loop on both sides. Made of No. 54 canvas with double bottom. 3" tunnel loop on back. SPUD WRENCH HOLDERS & BULL PIN HOLDERS: Wrench Holders have slots for two spuds. We have slotted for 2" wide belts and tunnel loops which permits use on wider belts or to slide over "D" rings. We also stock wrench holders that have a third hole that permit use with a connecting bar. Bull Pin Holders are slotted to except 2" wide belts. These models can handle up to a 1/4" pin. 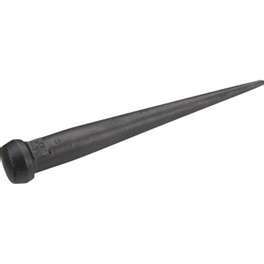 DRIFT PINS & EXTRA-LONG DRIFT PINS: Tapers are uniform and blend into body diameter. Tough, drop-forged steel, will properly end-pein in use. Available in these sizes in regular & extra-long drift pins: 9/16", 11/16",13/16" 15/16" 1-1/16"
AIR GRINDERS: Chicago Pneumatic, Ingersoll Rand, Master Power, Jet, Eagle, Florida Pneumatic, Etc. We stock a complete line of air grinders. Each grinder is equipped with 5/8" -11 spindle. We also can supply grinding disks ( 7" & 9" ). Wire wheels ( 4", 5", 6") knotted & straight. up to 7500 rpm. We also stock the air hoses & fitting for all pneumatic tools. NEEDLE SCALERS: These needle scalers permit through cleaning of irregular surfaces. They provide 4300 blows per minute. we also stock the air hoses & fittings for all Pneumatic tools. WELD FLUX CHIPPERS: These units are hard-hitting, Versatile hammers for chipping weld flux, stone, metal, concrete, brick, and for carving wood. They provide 4300 blows per minute. 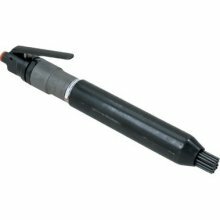 We also stock the air hoses & fitting for all Pneumatic tools as well as chisels & needles. Give our Sales Department a call today.